I was an early adopter of the Dynamik theme before Cobalt Apps changed their name and switched to the Dynamik Web Builder as an addon to the Genesis Theme. And their support and product quality have always been stellar, in my opinion. The author is great at answering questions and the community around all of the Cobalt Apps products has been positive and helpful. I decided to upgrade my Cobalt Apps account to their new “All Access” subscription which gives me access to all of their products. 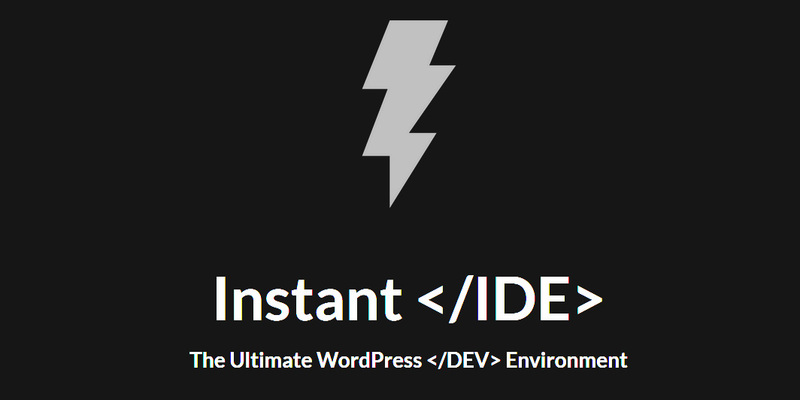 And one of those new products is “Instant IDE”. An online code editor. There is not a trial version, so you’ll have to purchase it to try it. It’s $99 by itself if you don’t want the All Access package. First, there are a lot of code editors out there, many of which that are free. And $99 is a bit pricey, and while it has some issues (that I’ll talk about shortly), I think it has great potential, especially knowing how well the author supports all of his products. The really clever thing is that you install it in WordPress as a plugin, but it installs the IDE itself outside of the WordPress ecosystem. This means if you make a mistake with your code, you can fix it without having to FTP into the site. But, as a WordPress plugin, it can quickly/easily be updated, unlike most stand-alone web based code editors. I’m not going to go into major detail on the editor itself, it’s not much different than most. It has a theme based color scheme, can open multiple files, robust search and replace, etc… It has a limited number of themes installed and no way to customize the colors outside of choosing a different theme. It has a great “preview mode” for looking at your site and supports responsive views. And it has a “console” that I have no idea what it is or what it’s used for. The documentation on the product is very sparse with no online help of any kind. It’s secure… when you install it, it generates a random URL to access the IDE itself. And you have to create users with passwords. My only problem is that if you spend too much time away from the IDE, it times out and you have to log back in, losing all the files you have open and their place. Which gets to my biggest complaint… When you close Instant IDE, it does not remember what files you have open or where you are in editing them. And it quickly times out, requiring you to log back in several times a day if you’ve got it open all day. Outside of the Site Preview, it’s not much better than stand-alone free code editors (I’m partial to Visual Studio Code) and doesn’t have a LOT of the features found in most of those editors. But it works well as a code editor, makes working on a live (beta) site much easier, and I’m sure that we’ll be seeing lots of great new features to bring it up to speed with other code editor products.